The Texas State Aquarium Wedding Venue is a non-profit organization which means all the money you spend with us goes right back into the Aquarium which helps assist in achieving our mission to engage people with animals, inspire appreciation for our seas, and support wildlife conservation. 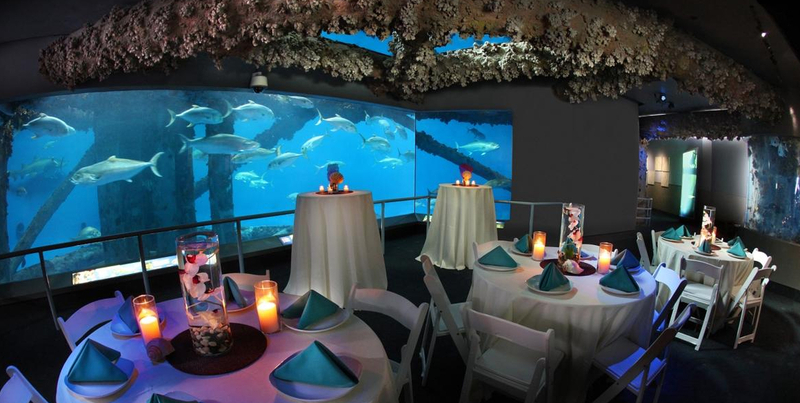 Hosting your event at the Texas State Aquarium Wedding Venue will make it unforgettable not only for you but for all of your guests. We offer Full Services events including tables, lines, centerpieces and more. Our goal is to make the planning process as simple as possible. Our event packages can offer all the essentials and can also be upgraded to offer enhanced amenities, such as dolphin shows and creature features that will allow you to customize your event to best meet your expectation's and budget.